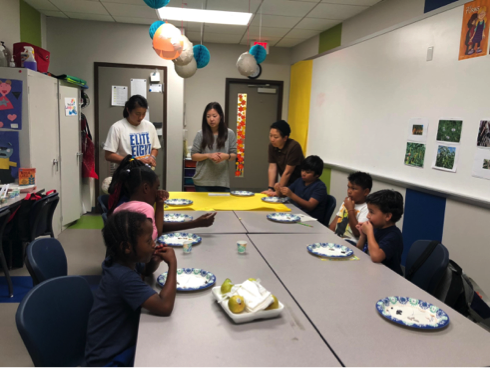 I did nutrition education with other interns at Koreatown Youth and Community Center. We led the elementary students and preschoolers to do physical activity. Also, we educated them about seeds and gardening. I feel that it is so hard to teach them about nutrition because they do not understand and a lot of them are picky eaters. Reflecting on what I read in the book Fearless Feeding, I realize the best way to educate them about foods is to expose them to a variety of flavors and encourage them to try new things. Even though they are picky eaters and sometimes they will try something and spit them out, they are still open to trying new flavors especially when it is a group activity. There was a girl who refused most of the items we gave her, but she decided to try when she saw her friends all tried. They held the foods counting down from three and ate together. Even though they ended up running to the trash and spitting out all the foods, it was still nice to see that they were willing to try. I feel this kind of group activity of trying new things is also a form of family table. When kids look at their friends and family are having something they haven’t have before, they will be more willing to try. It proves that the family table is a great way to raise a non-picky eater. 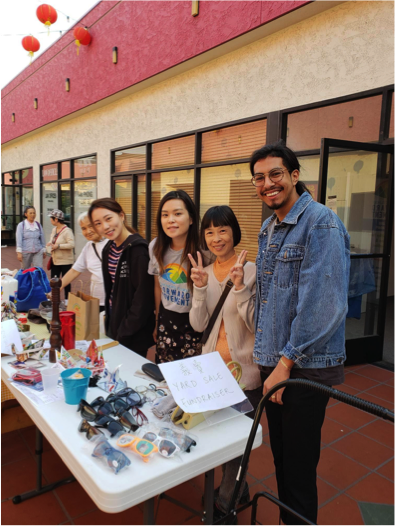 In November 2018, I supported APIFM’s outreach tabling in Chinese American neighborhoods as well as nutriton workshops at Chinatown Service Center. Gladly, I met so many friendly first-generation Chinese immigrants. They came to our workshops for free cooking and Tai Chi classes. We did fundraising on the afternoon of Nov 10th to get money for the stretch band to help elders who come to our class exercise. People are very supportive. We collected enough money to purchase 30 stretch band in one day. It is good to know that we have an organization that serves Asians and Pacific Islanders specifically. A lot of the things that they are doing benefit the entire community. It makes me want to contribute more to my community. 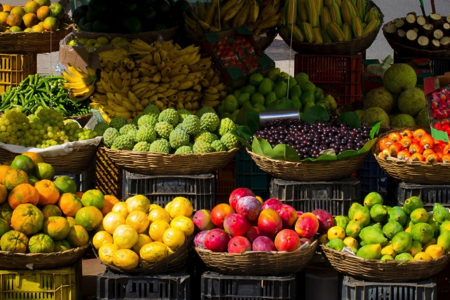 As someone who holds a degree in nutrition, I can do something to promote the wellness and health of the community holistically. Jingtian Wu interned with APIFM in Fall 2018 as part of a community rotation for her dietetic program at Pepperdine University.